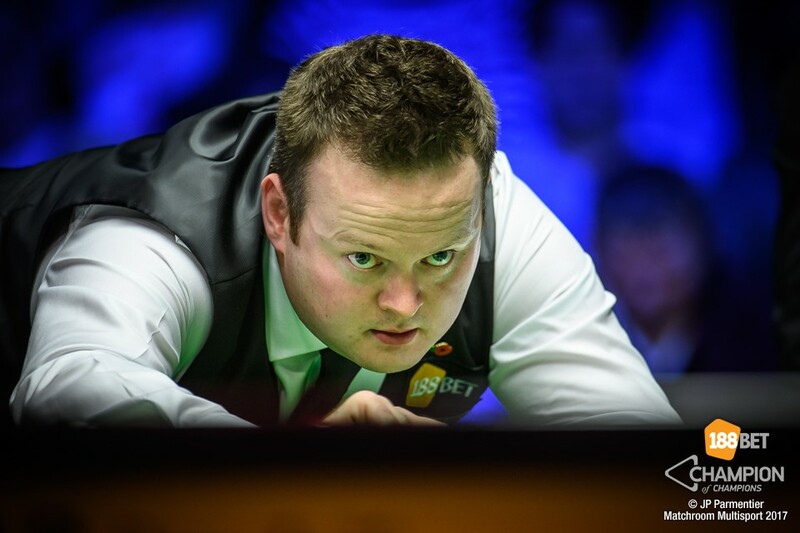 Shaun Murphy came from 4-2 down to beat Luca Brecel 6-4 and set up a 188BET Champion of Champions final against Ronnie O’Sullivan on Sunday. It will be the first final the pair have contested since the 2009 Premier League as O’Sullivan goes for his third Champion of Champions title, while Murphy appears in his first final at Coventry’s Ricoh Arena. Brecel made a stylish start to the semi-final in front of a packed Coventry crowd, opening with a 68 which was by no means straightforward. He had a 3-1 lead at the interval and could have extended it further had he not misjudged a shot on the pink, allowing Murphy in to see out a frame in which he’d already amassed a 48 break. The Belgian restored his two-frame lead immediately, but a fantastic 131 clearance saw Murphy back to within one. ‘The Magician’ had an opportunity to level in the eighth but ran out of position on 28. Both players faltered again in the same frame, before Murphy capitalised when given the chance with a confident 73. The Gibraltar Masters champion, who hadn’t won at match at this tournament prior to this year, moved to within one by taking the ninth. The first eight frames had averaged less than 12 minutes each, but as the match edged towards a conclusion things became understandable more tense. A gripping safety battle was the feature of the tenth, but victory was Murphy’s when Brecel first missed the brown and then overplayed his second attempt, allowing ‘The Magician’ to take the final colours for victory. “I needed patience at the end, and it was important to be calm and maybe that was the little thing that I had tonight,” said Murphy. “Since Ronnie came on the scene in the early 90s, he has been the ultimate challenge in snooker. He has been the ultimate benchmark for players to test themselves against and he blew the field away at the English Open last month – 98% pot success in the final and he missed only six shots in the match. “I will come tomorrow and try my best, give it everything I have got and enjoy myself. It is about forgetting everything else and just remembering we are two men having a game of snooker. Broadcast on ITV4 in the UK and on networks around the world, the 188BET Champion of Champions carries a £370,000 prize fund with the winner taking home £100,000.